Process – The process of software development is called the Software Development Lifecycle (SDLC). We’ll examine all phases of the SDLC with respect to mobile application development, including: Inspiration, Design, Development, Stabilization, Deployment, and Maintenance. 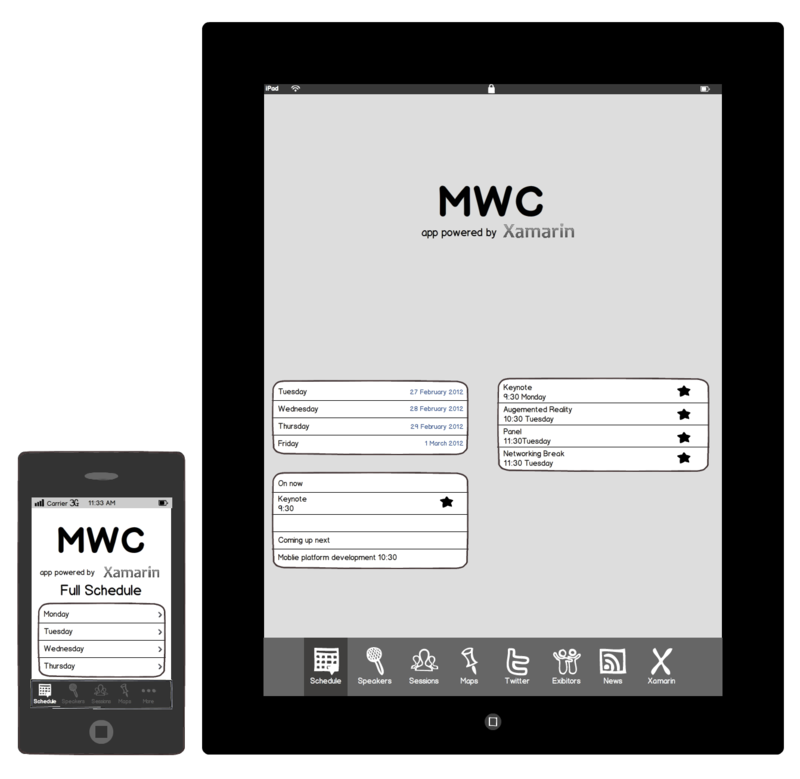 Considerations – There are a number of considerations when building mobile applications, especially in contrast to traditional web or desktop applications. We’ll examine these considerations and how they affect mobile development. This document is intended to answer fundamental questions about mobile app development, for new and experienced application developers alike. It takes a fairly comprehensive approach to introducing most of the concepts you’ll run into during the entire Software Development Lifecycle (SDLC). 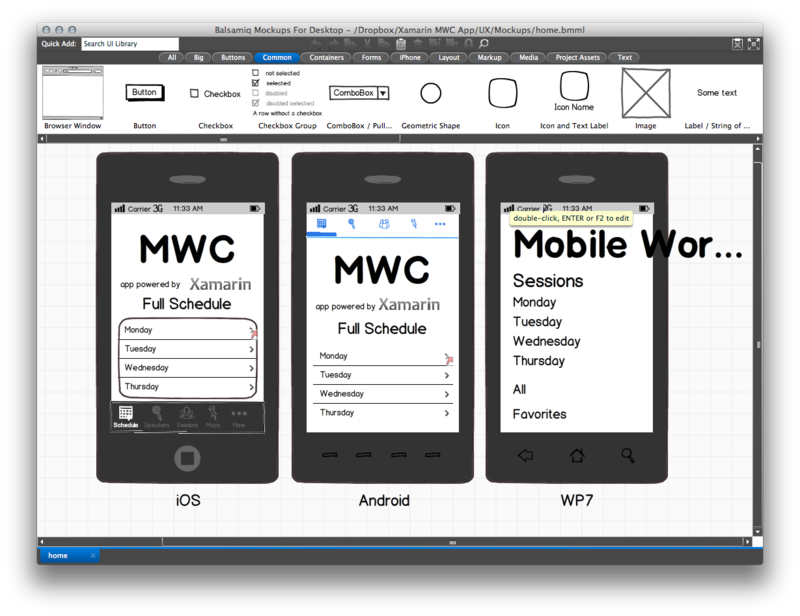 However, this document may not be for everyone, if you’re itching to just start building applications, we recommend jumping ahead to the Introduction to Mobile Development guide and then coming back to this document later. Often many of these pieces are overlapped, for example, it’s common for development to be going on while the UI is being finalized, and it may even inform the UI design. Additionally, an application may be going into a stabilization phase at the same that new features are being added to a new version. Furthermore, these phases can be used in any number of SDLC methodologies such as Agile, Spiral, Waterfall, etc. Each of the these phases will be explained in more detail by the following sections. The ubiquity and level of interaction people have with mobile devices means that nearly everyone has an idea for a mobile app. Mobile devices open up a whole new way to interact with computing, the web, and even corporate infrastructure. Competitive Advantage – Are there similar apps out there already? If so, how does this application differentiate from others? Infrastructure Integration – What existing infrastructure will it integrate with or extend? Value – What value does this app bring users? How will they use it? Form/Mobility – How will this app work in a mobile form factor? How can I add value using mobile technologies such as location awareness, the camera, etc.? To help with designing the functionality of an app, it can be useful to define Actors and Use Cases. Actors are roles within an application and are often users. Use cases are typically actions or intents. For instance, a task tracking application might have two Actors: User and Friend. A User might Create a Task, and Share a Task with a Friend. In this case, creating a task and sharing a task are two distinct use cases that, in tandem with the Actors, will inform what screens you’ll need to build, as well as what business entities and logic will need to be developed. Once an appropriate number of use cases and actors has been captured, it’s much easier to begin designing an application. Development can then focus on how to create the app, rather than what the app is or should do. Once the features and functionality of the app have been determined, the next step is start trying to solve the User Experience or UX. For example, each app has a metaphor for switching between sections in an application. iOS uses a tab bar at the bottom of the screen, Android uses a tab bar at the top of the screen, and UWP uses the Pivot or tab view. And due to the myriad of form factors out there, there are often mid-size form factors (somewhere between a phone and a tablet) that you may also want to target. Once the UX is determined, the next step is to create the UI design. While UX is typically just black and white mockups, the UI Design phase is where colors, graphics, etc., are introduced and finalized. Spending time on good UI design is important and generally, the most popular apps have a professional design. The development phase usually starts very early. In fact, once an idea has some maturation in the conceptual/inspiration phase, often a working prototype is developed that validates functionality, assumptions, and helps to give an understanding of the scope of the work. In the rest of the tutorials, we’ll focus largely on the development phase. Prototype – The app is still in proof-of-concept phase and only core functionality, or specific parts of the application are working. Major bugs are present. Alpha – Core functionality is generally code-complete (built, but not fully tested). Major bugs are still present, outlying functionality may still not be present. Beta – Most functionality is now complete and has had at least light testing and bug fixing. Major known issues may still be present. Release Candidate – All functionality is complete and tested. Barring new bugs, the app is a candidate for release to the wild. It’s never too early to begin testing an application. For example, if a major issue is found in the prototype stage, the UX of the app can still be modified to accommodate it. If a performance issue is found in the alpha stage, it’s early enough to modify the architecture before a lot of code has been built on top of false assumptions. Typically, as an application moves further along in the lifecycle, it’s opened to more people to try it out, test it, provide feedback, etc. For instance, prototype applications may only be shown or made available to key stakeholders, whereas release candidate applications may be distributed to customers that sign up for early access. For early testing and deployment to relatively few devices, usually deploying straight from a development machine is sufficient. However, as the audience widens, this can quickly become cumbersome. As such, there are a number of test deployment options out there that make this process much easier by allowing you to invite people to a testing pool, release builds over the web, and provide tools that allow for user feedback. For testing and deployment, you can use App Center to continuously build, test, release, and monitor apps. Once the application has been stabilized, it’s time to get it out into the wild. There are a number of different distribution options, depending on the platform. Apple App Store – Apple’s App Store is a globally available online application repository that is built into Mac OS X via iTunes. It’s by far the most popular distribution method for applications and it allows developers to market and distribute their apps online with very little effort. In-House Deployment – In-House deployment is meant for internal distribution of corporate applications that aren’t available publicly via the App Store. Ad-Hoc Deployment – Ad-hoc deployment is intended primarily for development and testing and allows you to deploy to a limited number of properly provisioned devices. When you deploy to a device via Xcode or Visual Studio for Mac, it is known as ad-hoc deployment. All Android applications must be signed before being distributed. Developers sign their applications by using their own certificate protected by a private key. This certificate can provide a chain of authenticity that ties an application developer to the applications that developer has built and released. It must be noted that while a development certificate for Android can be signed by a recognized certificate authority, most developers do not opt to utilize these services, and self-sign their certificates. The main purpose for certificates is to differentiate between different developers and applications. Android uses this information to assist with enforcement of delegation of permissions between applications and components running within the Android OS. Unlike other popular mobile platforms, Android takes a very open approach to app distribution. Devices are not locked to a single, approved app store. Instead, anyone is free to create an app store, and most Android phones allow apps to be installed from these third party stores. UWP applications are distributed to users via the Microsoft Store. Developers submit their apps for approval, after which they appear in the Store. For more information on publishing Windows apps, see UWP's Publish documentation. While developing mobile applications isn’t fundamentally different that traditional web/desktop development in terms of process or architecture, there are some considerations to be aware of. There are two significant challenges to multitasking (having multiple applications running at once) on a mobile device. First, given the limited screen real estate, it is difficult to display multiple applications simultaneously. Therefore, on mobile devices only one app can be in the foreground at one time. Second, having multiple applications open and performing tasks can quickly use up battery power. Each platform handles multitasking differently, which we’ll explore in a bit. Mobile devices generally fall into two categories, phones and tablets, with a few crossover devices in between. Developing for these form factors is generally very similar, however, designing applications for them can be very different. Phones have very limited screen space, and tablets, while bigger, are still mobile devices with less screen space than even most laptops. Because of this, mobile platform UI controls have been designed specifically to be effective on smaller form factors. Conceptualization and Planning – Keep in mind that hardware and features will vary from device to device, an application that relies on certain features may not work properly on certain devices. For example, not all devices have cameras, so if you’re building a video messaging application, some devices may be able to play videos, but not take them. Design – When designing an application’s User Experience (UX), pay attention to the different screen ratios and sizes across devices. Additionally, when designing an application’s User Interface (UI), different screen resolutions should be considered. Development – When using a feature from code, the presence of that feature should always be tested first. For example, before using a device feature, such as a camera, always query the OS for the presence of that feature first. 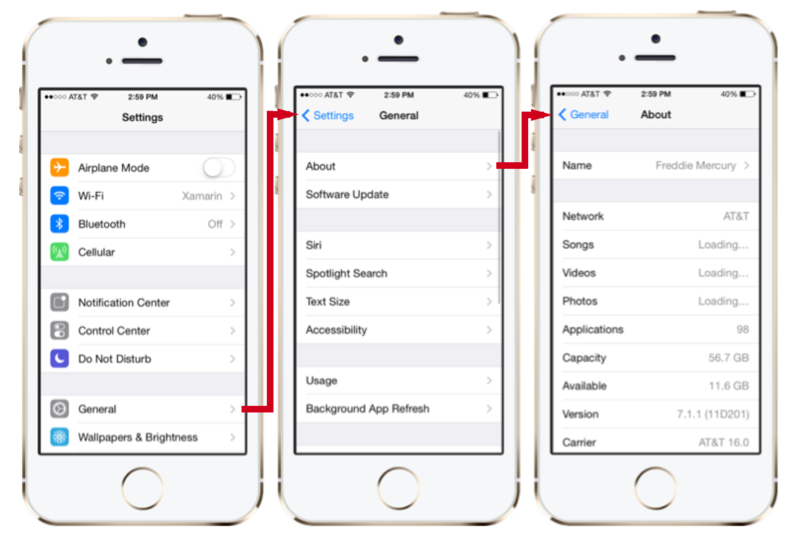 Then, when initializing the feature/device, make sure to request currently supported from the OS about that device and then use those configuration settings. Testing – It’s incredibly important to test the application early and often on actual devices. Even devices with the same hardware specs can vary widely in their behavior. Mobile devices get more and more powerful all the time, but they are still mobile devices that have limited capabilities in comparison to desktop or notebook computers. For instance, desktop developers generally don’t worry about memory capacities; they’re used to having both physical and virtual memory in copious quantities, whereas on mobile devices you can quickly consume all available memory just by loading a handful of high-quality pictures. Additionally, processor-intensive applications such as games or text recognition can really tax the mobile CPU and adversely affect device performance. Because of considerations like these, it’s important to code smartly and to deploy early and often to actual devices to validate responsiveness. Multitasking is very tightly controlled in iOS, and there are a number of rules and behaviors that your application must conform to when another application comes to the foreground, otherwise your application will be terminated by iOS. Within a particular form factor, hardware can vary greatly between different models. For instance, some devices have a rear-facing camera, some also have a front-facing camera, and some have none. Some older devices (iPhone 3G and older) don’t even allow multitasking. Because of these differences between device models, it’s important to check for the presence of a feature before attempting to use it. To make sure that applications are responsive and secure, iOS enforces a number of rules that applications must abide by. In addition to the rules regarding multitasking, there are a number of event methods out of which your app must return in a certain amount of time, otherwise it will get terminated by iOS. Also worth noting, apps run in what’s known as a Sandbox, an environment that enforces security constraints that restrict what your app can access. For instance, an app can read from and write to its own directory, but if it attempts to write to another app directory, it will be terminated. Multitasking in Android has two components; the first is the activity lifecycle. Each screen in an Android application is represented by an Activity, and there is a specific set of events that occur when an application is placed in the background or comes to the foreground. Applications must adhere to this lifecycle to create responsive, well-behaved applications. For more information, see the Activity Lifecycle guide. The second component to multitasking in Android is the use of Services. Services are long-running processes that exist independent of an application and are used to execute processes while the application is in the background. For more information see the Creating Services guide. Google doesn’t impose any limits on which devices can run the Android OS. This open paradigm results in a product environment populated by a myriad of different devices with very different hardware, screen resolutions and ratios, device features, and capabilities. Because of the extreme fragmentation of Android devices, most people choose the most popular 5 or 6 devices to design and test for, and prioritize those. Applications in the Android OS all run under a distinct, isolated identity with limited permissions. By default, applications can do very little. For example, without special permissions, an application cannot send a text message, determine the phone state, or even access the Internet! To access these features, applications must specify in their application manifest file which permissions they would like, and when they’re being installed; the OS reads those permissions, notifies the user that the application is requesting those permissions, and then allows the user to continue or cancel the installation. This is an essential step in the Android distribution model, because of the open application store model, since applications are not curated the way they are for iOS, for instance. For a list of application permissions, see the Manifest Permissions reference article in the Android Documentation. Multitasking in UWP has two parts: the lifecycle for pages and applications, and background processes. Each screen in an application is an instance of a Page class, which has events associated with being made active or inactive (with special rules for handling the inactive state, or being “tombstoned”). The second part is providing background agents for processing tasks even when the application is not running in the foreground. Although UWP hardware is fairly homogeneous, there are still components that are optional and therefore require special considering while coding. Optional hardware capabilities include the camera, compass, and gyroscope. There is also a special class of low-memory (256MB) that requires special consideration, or developers can opt-out of low-memory support. For information on important security considerations in UWP, refer to the Security documentation. This guide gave an introduction to the SDLC as it relates to mobile development. It introduced general considerations for building mobile applications and examined a number of platform-specific considerations including design, testing, and deployment.